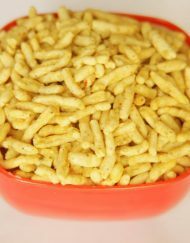 Namkeen is a popular Indian snack food consisting of small pieces of crunchy noodles made from gram flour paste, which is seasoned with turmeric, cayenne, and ajwain before being deep-fried in oil. These noodles vary in thickness. 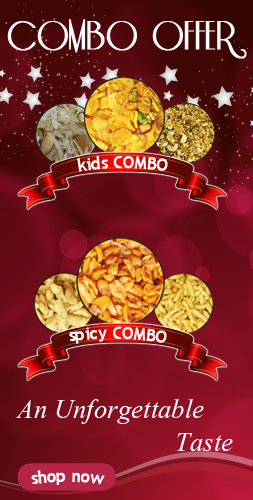 Ready-to-eat varieties of Sev, including flavoured laung Sev, are available at our online namkeen store. 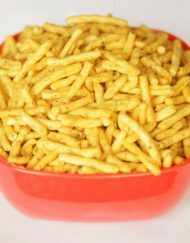 Sev is eaten as a standalone snack as well as a topping on dishes like Bhelpuri and Sevpuri. 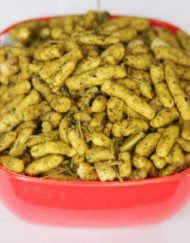 Sev can be stored for weeks in airtight container. 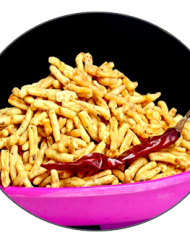 The snack is popular in Madhya Pradesh, especially in the cities of Ratlam and Indore, where many snack foods consist of sev as a main ingredient. 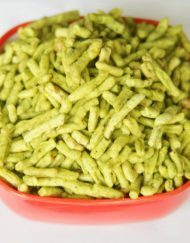 In Madhya Pradesh, sev is used as a side ingredient in almost every chaat snack food, especially ratlami namkeen, which is made from cloves and Gram flour. 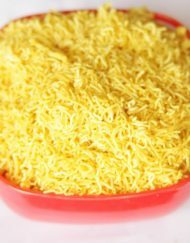 Many varieties of sev are sold online , such as long (clove) sev, tomato Sev, palak sev, plain sev, and bhujia.